Looking at the time is something that most people take it for granted. What about those who can’t look at their watch? Bradley watch was designed by keeping this in mind. Telling time should not be a privilege. There had to be a wrist watch you can both see and touch which can be used by every single person. 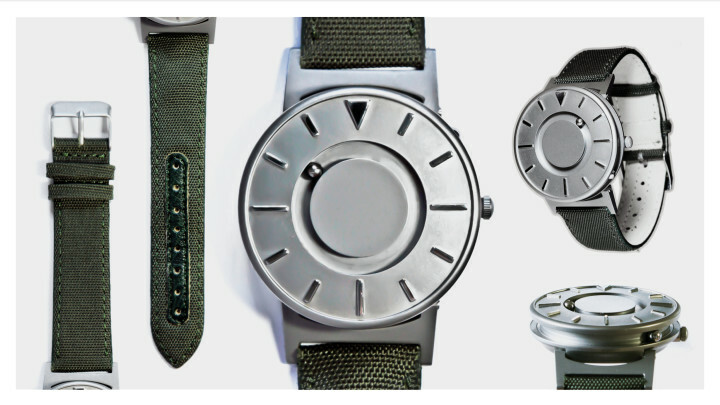 This unique wristwatch is named after Bradley Snyder, an ex naval officer who lost his eyesight in 2011 due to an explosion in Afghanistan. He is surely a person who does not give up and this was something which he showed to the world when he won both gold and silver medals in swimming at the 2012 Paraolympics in London. Bradley along with other visually impaired users provided the developers of the watch with feedback in order to make this wristwatch possible. And they did great! Both for sighted and visually impaired users, the Bradley is a very unique and beautiful wristwatch made out of titanium, water and shock resistant. A front ball indicating the minutes along with a side ball indicating the hours makes the watch easy to read. The hour markers are raised so that the user clearly understands the time by touching. I’m not going to let this beat me. build a brick wall around me. Priced at $275, can be pre ordered with $40 discount. Estimated release is mid July.